An ISIS fighter, who was captured by the Syrian Arab Army (SAA) during the special operation to free al-Suwayda hostages, revealed that the terrorist group’s cells in the area of al-Safa are receiving direct military support from the US-led coalition base in the border area of al-Tanaf. “We received supplies from the U.S. base in al-Tanaf through Abu Audi, his brother Saeed and Abu Ali al-Buri (al-Badui), he is a member of ISIS, he provided us with vehicles and 23mm machineguns,” the captured ISIS member, Abu Abdullah Mayadin, told Syrian reporters on November 9. Furthermore, Abu Abdullah revealed that many terrorists from Iraq, Turkey, Russia’s Ingushetia, India and Uzbekistan are fighting on the ISIS side in al-Safa. Previously it was thought that the terrorists there are only Syrians and Palestinians. The Syrian Arab News Agency (SANA) released two photos, which had been extracted from Abu Abdullah smartphone. In the first photo, the terrorist is holding a US-made M16 assault rifle equipped with a US-made Trijicon scope. 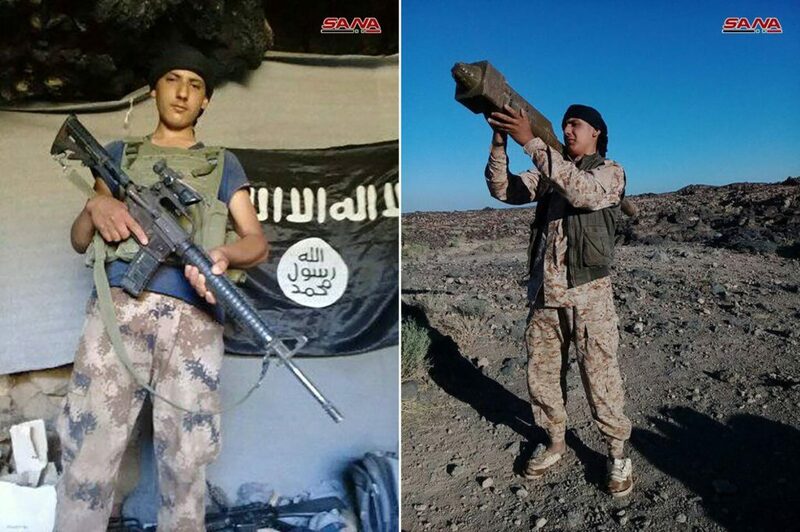 The second photo shows the terrorist carrying what was identified as a Chinese-made FN-6 Man-portable air-defense (MANPAD) system. According to local observers, this type of the MANPADs was supplied to the Free Syrian Army in 2014 by Qatar, which had acquired them from Sudan. Later, these MANPADs were obtained by ISIS and al-Qaeda in Iraq and even Lebanon. Abu Abdullah’s statement and the photos recovered from his smartphone confirm that the U.S. and its allies had supported the terrorist group in a direct and an indirect way from the al-Tanaf base. Moscow and Damascus pointed out this kind of U.S. activities in the al-Tanaf area multiple times during the last two years. However, Washington is not going to abandon its military base at the Syrian-Iraqi border because it plays an important role in the US strategy to oppose the growth of Iranian and Russian influence in Syria.